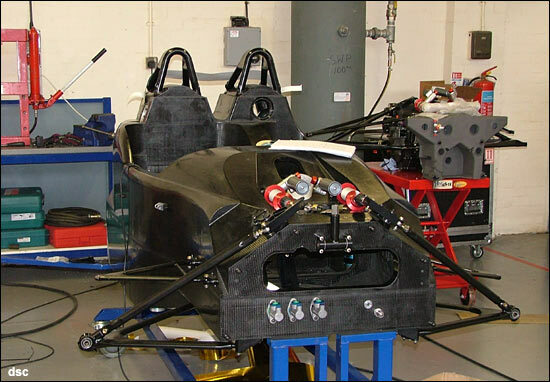 This is the first published picture of the Radical SR9 chassis which destined for the van der Steur Racing outfit in the American Le Mans Series. With final assembly now underway at Radical’s Peterborough base, the car is due to test later this month in the UK, before being shipped to the United States in time for the new owners to acquaint themselves with their new mount ahead of a race debut at Petit Le Mans. It will share the AER 2 litre turbo engine which the team will be very familiar with, from its loyal service aboard their faithful Lola B2K/40 chassis. The assembly bay currently occupied by the van der Steur car will soon be occupied by the second chassis, destined for Team Bruichladdich.